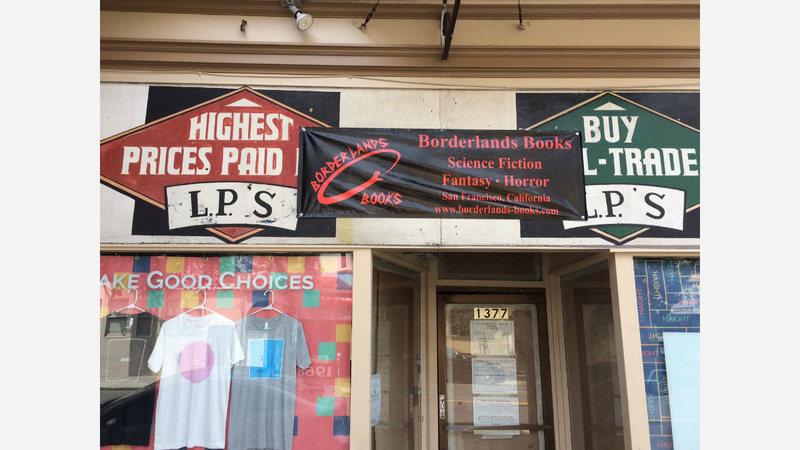 Borderlands Books, a genre fiction bookseller that's operated for 17 years on Valencia St. in the Mission, may be ready to reopen at its new home in the Upper Haight as early as this fall. The news, announced in the shop's monthly newsletter, means that the store will relcoate its bookselling operation to 1373 Haight St. as soon as renovations are completed. The building was purchased last fall through a round of community fundraising. The existing shop's adjacent cafe will continue operation on Valencia. Renovations currently underway on the new storefront at 1373 Haight St. include an overhaul of the rear garden with hanging pots, planters, and new fences. Borderlands owner Alan Beatts told Hoodline that the space would become available to customers who want to hang out. Inside, work is almost ready to commence on shoring up the building's foundation with basement piers and a new structural beam, and a crew is uncovering the shop's hardwood floors. In the newsletter, Beatts wrote that work on the building could potentially wrap up as early as August. "The upshot of how things are going with both the electrical and structural work is that I don't think that we'll be moved by the beginning of August," he wrote. "So, it's starting to look like moving will be post-August but, by how much is unknown right now." He added that it was through the shop's customer base that the work is able to move along quickly. "We're able to be so ambitious with things like the garden because of the great support we've gotten from our customers," he said. "We've had a group of volunteers working there almost every Sunday this year and it's made the work go faster and much more fun."